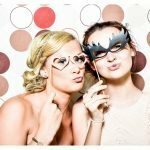 The biggest annual report of UK wedding trends and spend – hitched.co.uk’s 21st Century Bride – surveyed 4,000 brides, to reveal the top five wedding spends. The single biggest wedding expenditure is venue hire, costing an average of £4,354. The honeymoon is the second biggest outlay for the wedding, an average of £3,630, followed by food at £3,353. Average cost of a wedding in 2017 is £27,161- the highest it’s ever been and up to 9.6% from last year. The study also showed that Londoners spend the most on their wedding with an average cost of £33,884 while couples from the Midlands proved the canniest, spending an average of £25,915 on their wedding. The average cost of an engagement ring is now £2,084, up 17.6% from three years ago. Londoners shelled out the most on their engagement rings spending £3,133, while couples from Midlands, were the most prudent, spending £1,810 on their engagement rings. The survey reveals that parents are no longer the sole financial contributors for the big day; 51% pay for it themselves with a little help from family contribution, whilst 32% of couples are funding it themselves. 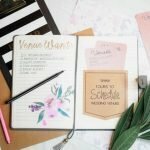 “It’s clear to see that the venue really is the most important part of a bride’s big day, with couples opting to spend 16% of their total budget on their favoured place to say ‘I do’.